Always a great start to a wedding. Now getting on to gameplay, this game controls about as well as an elephant with 3 legs and one eye and Its brilliant! The whole premise of this game is that it is hard to control, the motions are awkward, the speed at which he moves seems to fluctuate, there is no real consistency in button pressing and what his body actually does but the game is that much better for it. Now it’s easy to make a games controls bad but it is hard to make them intentionally hard to use. 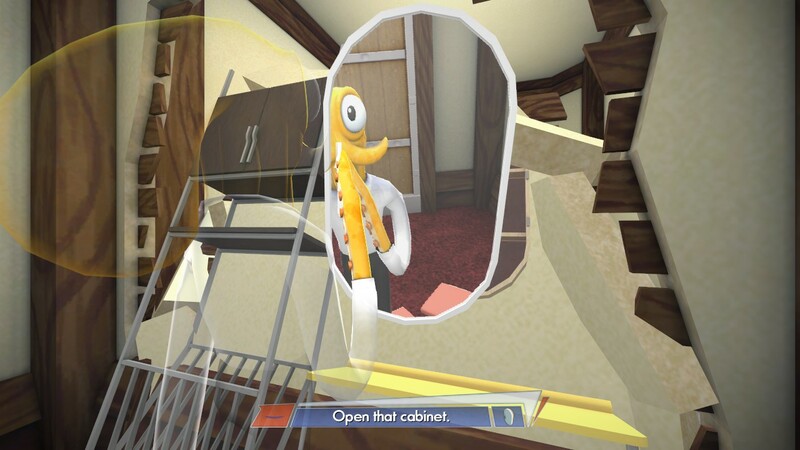 Octodad flings about the screen like some sort of damp rubber cloth and with his response to your controller being scarily quick. This makes it feel so much more rewarding though when you do actually accomplish something even when it is as mediocre as just opening a door sometimes. Level design for this game is also very good as it is split into scenes which are set in different locations. Like with most games the beginning levels are mainly to try and teach the player how to control Octodad and get used to the movement style etc. then the bulk of the game is set in an aquarium which in turn is split into different sections each with its own feel and play style. The levels are both challenging and rewarding so you don’t get to frustrated but there are a few exceptions here and there especially nearer the end of the game, However I think they could have done a better job with some of the level difficulties as there are some which you simply breeze through with no real challenge particularly at the beginning of the game, now i know this is a little picky and not everyone will see it like this but it’s my honest opinion. 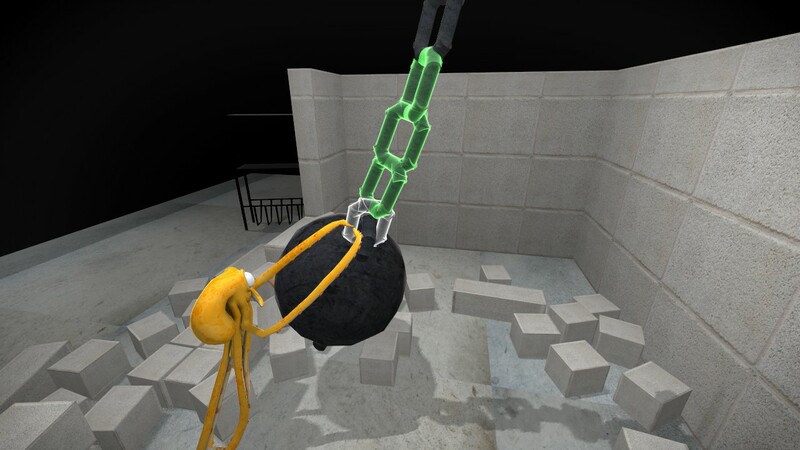 Miley’s got nothing on Octodad! I am a huge fan of the art style of this game, Its quirky and cartoony but not too overly silly. The people look normal and I like that as it emphasise the contrast between them and Octodad even more. Another thing I like is the lack of background jokes, you know things going on in the background to get a quick laugh, in some games they are great but this game is better without them as you have enough to focus on anyway without needless distractions. I will say however the dialogue between certain characters that you can overhear is just gold, it isn’t repetitive and it sometimes it really does feel like you’re listening to a real conversation this neatly leads onto my next paragraph. Dialogue/scripting of this game for me is one of the biggest selling points that i feel people will gloss over, apart from the plot the actual dialogue between the characters is rather hilarious especially the subtitles that they have for Octodad. How each character interacts with each other and what’s going on around them in what they say got some of the biggest laughs out of me.